The project is a partnership between Lightning Bar Collective and Provenance Hotels. Designed by John Janulis and Anne L’Esperance, inspired by an old-world Mediterranean aesthetic while maintaining the original charm of the property. Design and Direct Source provided tile throughout Villa Royale and Del Ray, the restaurant on site. 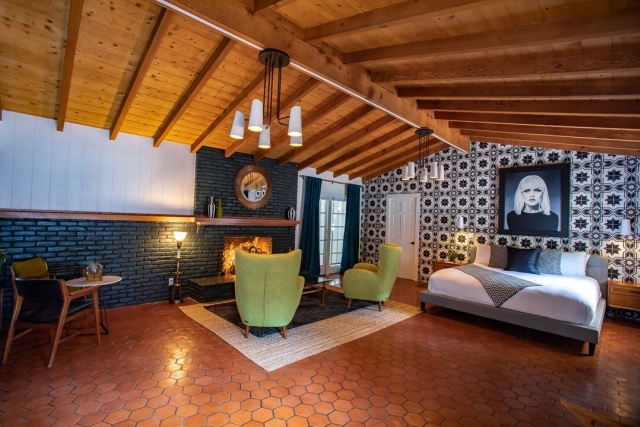 A variety of playful ceramic decos and custom encaustic cement tile were installed in the pool, lounge, guest bathrooms, bars, and fireplace surround.